I’ve Started Making Homemade Bread! 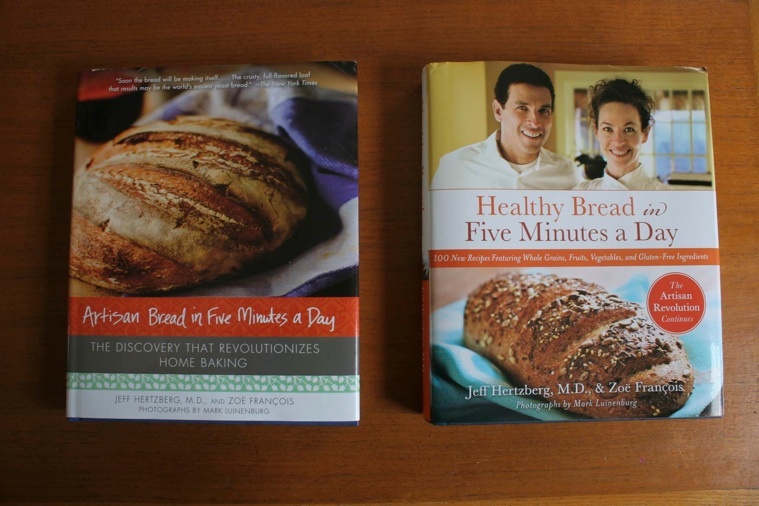 For Christmas I got two bread making books from my husband and a bread baking stone from my sister. 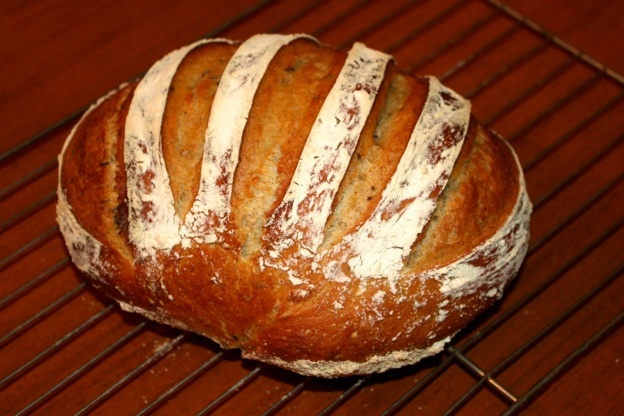 I’ve never made bread before and never thought I could, but I love an occasional good, expensive, artisan loaf. It took me almost two months to get up the nerve to give bread baking a try, but boy am I glad I did. A photo of the books I’m using is below, and I’ll review them after trying more than the three recipes I’ve tried so far, but their method is simple enough for a complete novice like me to get great results! This is what they call a “wet dough” method which you mix up and keep in the refrigerator, so that at any time you can simply pull off some and bake it just when you want it, in the amount you can finish off. 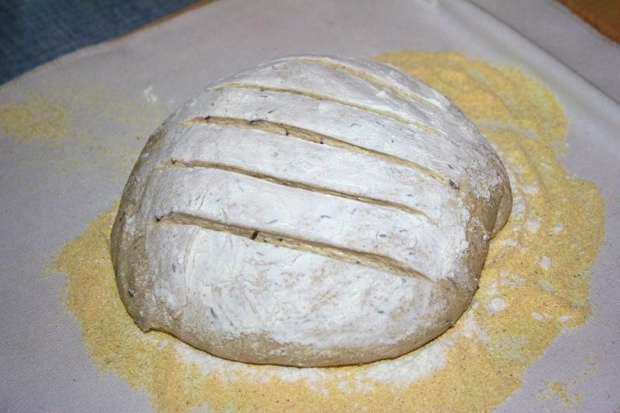 Above is our favorite so far, an herbed bread with fresh rosemary and thyme. 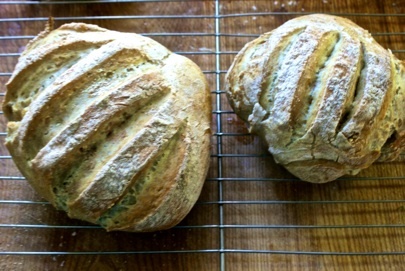 Below, see my delicious rye bread and my very first two loaves ever which were a plain boule. 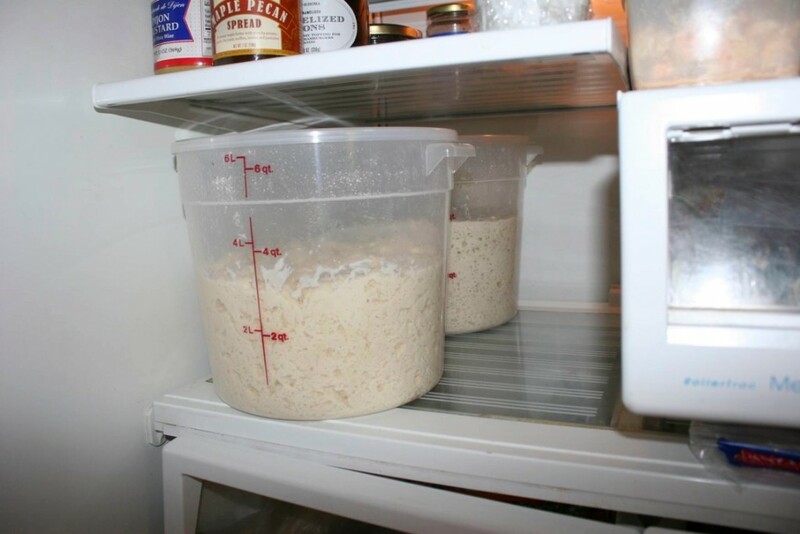 In the refrigerator photo below you can see I’ve got on hand the herb bread and the rye… My next bread will be peasant oatmeal with raisins and walnuts… The plan is to keep a rotation of bread ready and ongoing. So far it is working effortlessly and wonderfully. 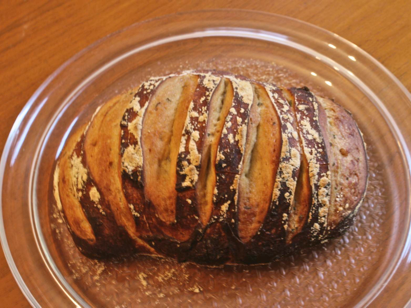 Anyway, this has been extraordinarily exciting and satisfying for me, and if you, like me, think bread baking is beyond your grasp or just too time consuming, think again! This is fun, delectable, frugal, healthier – and wow – does the house smell divine!